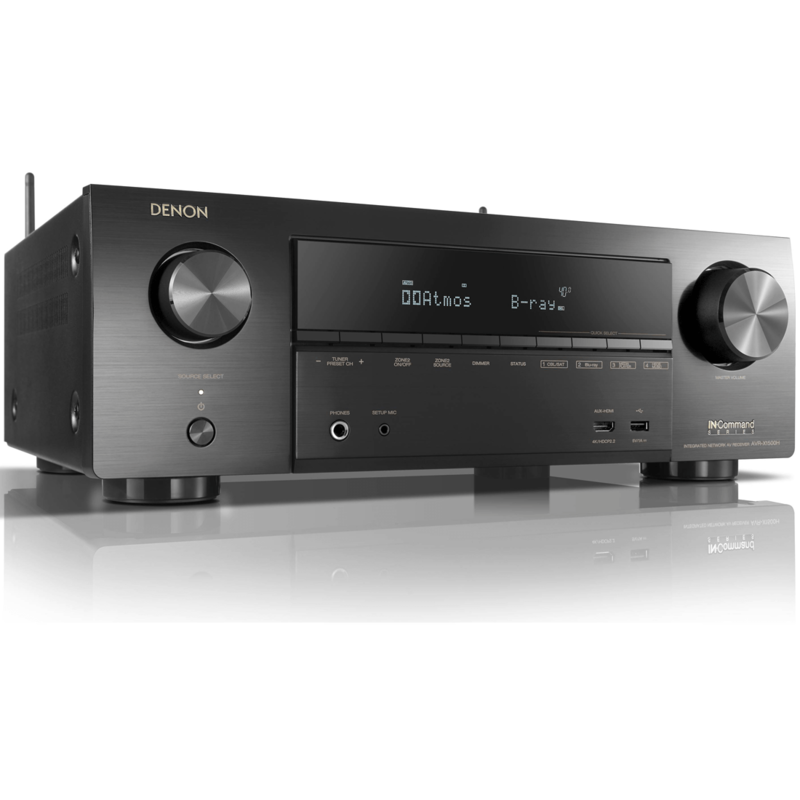 Watch your favorite movies and shows with stunning clarity and sound with the Denon AVR-X1500H. 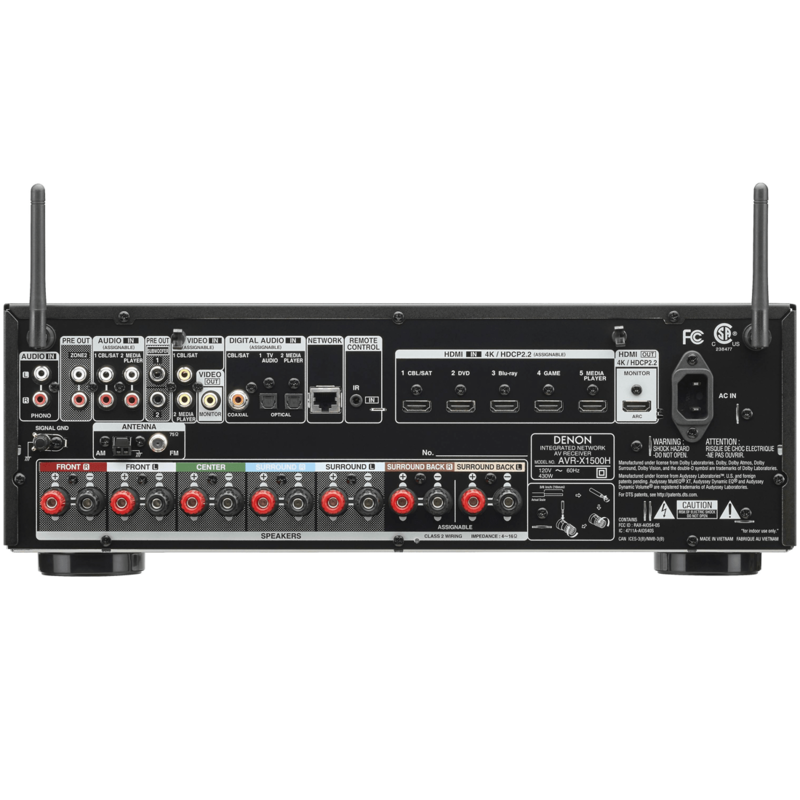 The 7.2 channel AVR-X1500H supports Dolby Atmos®, DTS:X™ and DTS Virtual:X®, plus the latest video technologies such as 4K video passthrough, Dolby Vision™, HDR, HLG and HCDP 2.2 support on all six HDMI ports. Stream Spotify®, Pandora®, Tidal and more with built-in HEOS technology and control the AVR with your voice and Amazon Alexa compatibility. The Denon AVR-X1500H has an award-winning set up experience — and with a more than 100-year history steeped in audio excellence, the AVR-X1500H is guaranteed to offer the sound audio-enthusiasts seek. Featuring discrete high-current amplifiers on all channels, the Denon AVR-X1500H delivers high-power performance at 80 Watts per channel (8 Ohms, 20Hz-20kHz, 0.08% THD). Low impedance drivers provide operational stability for a wide range of speakers and create balanced, tonal sound. 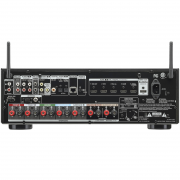 The AVR-X1500H features three-dimensional sound formats Dolby Atmos, DTS:X and DTS Virtual:X, plus an HDMI section with HDCP 2.2 support and advanced video processing with 4K scaling for HDMI sources. Feel every dimension in Dolby Atmos. Dolby Atmos transports you into the story with moving audio that flows all around you with breathtaking realism. Enjoy a 5.1.2 surround sound speaker system including 2 overhead speakers or 2 Dolby Atmos elevation speakers for the ultimate home theater experience – including Dolby Surround upmixer for legacy content. 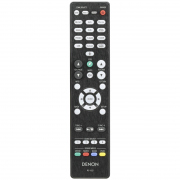 Control your Denon AVR-X1500H with your Smart TV remote via the HDMI CEC functionality associated with your Smart TV. 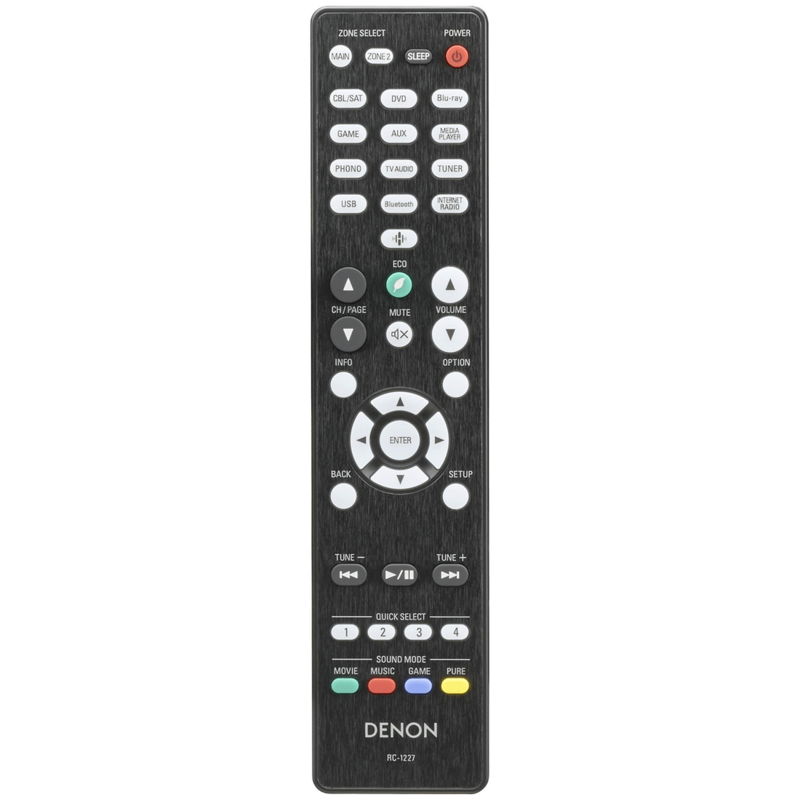 Simply set “HDMI Control” to ON in your receiver, then set “Smart Menu” to ON and begin controlling the Denon AVR-X1500H with your TV remote. The Smart Menu home screen provides you quick access to source and surround mode selections, the AVR’s setup menu and four Smart Selects. Incredible power for your music and movie needs. 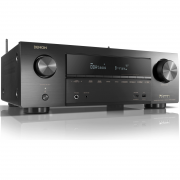 The Denon AVR-X1500H includes an advanced DSP (Digital Sound Processor) chip for tremendous power processing. With four 300MHz DSP cores that are capable of processing over one billion computations per second, the AVR-X1500H supports the latest video, sound and processing needs. Enjoy your favorite music in any room of your home wirelessly with built-in HEOS technology. Play the same song in every room, or select a different song for each connected room — the choice is yours. Also works with Amazon Alexa providing cutting-edge voice control and incredible sound for all of your home entertainment – or control it all with the free HEOS app. Stream music stored on your home network – connect to HEOS wireless speakers or even other HEOS-enabled receivers and listen throughout the whole house. Enjoy music from TuneIn, Internet Radio, Pandora, Spotify, Amazon Prime Music, iHeartRadio, SiriusXM, Soundcloud, Tidal, Napster or Deezer. In today’s custom install environment, it’s critical for integrators to provide quick, reliable assistance and service to their clients, even after the install is complete. 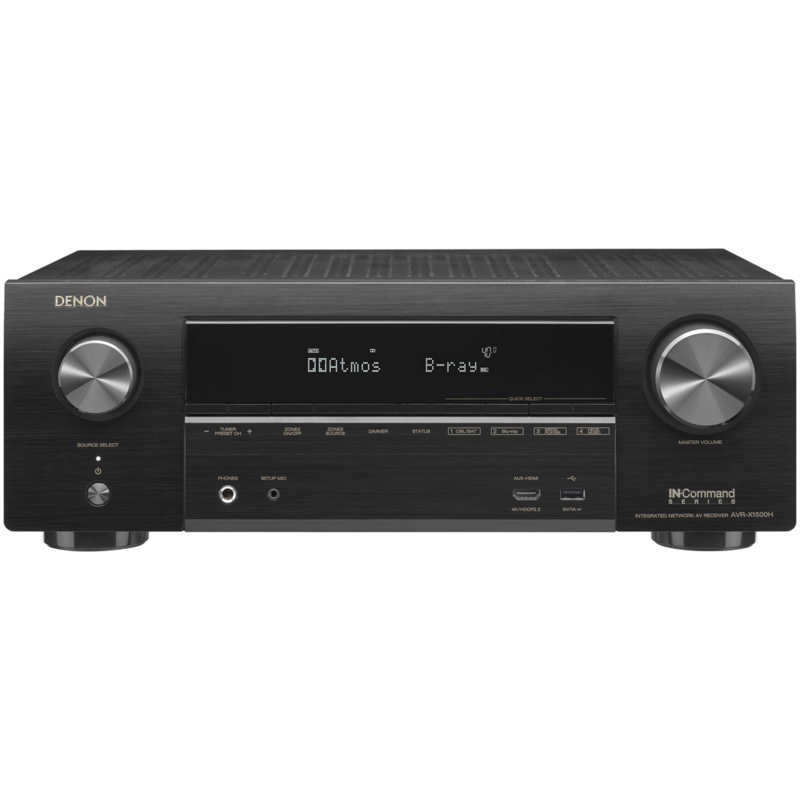 To support this effort, the Denon IN-Command series Denon AVR-X1500H AV receiver features “ihiji Invision” remote system management technology and “Domotz Pro” remote monitoring and Need supporting image management technology. These programs allow custom integrators to monitor the status of connected products and troubleshoot remotely from the office or on the go, radically reducing the time it takes to address the issue.